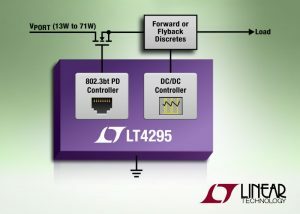 Linear Technology Corp. recently introduced the LT4295IEEE 802.3bt powered device (PD) interface controller for applications that require up to 71 W. The next Power over Ethernet (PoE) standard—IEEE 802.3bt—enables manufacturers to go beyond the 25.5 W allocated by the 2009 IEEE 802.3at standard. The new standard—PoE++ or 4PPoE—increases the power budget to enable new applications and features, while supporting 10GBASE-T and maintaining backward compatibility with older IEEE equipment. The LT4295 is IEEE 802.3bt (Draft 2.0) compliant and supports newly introduced features, including all additional PD classes (5, 6, 7, and 8), additional PD types (Type 3 and Type 4), and five-event classification. The LT4295 is a single-signature 802.3bt PD controller that integrates an isolated switching regulator controller. It is capable of synchronous operation in both high-efficiency forward and no-opto flyback topologies with auxiliary power support. This simplifies front end PD designs by reducing component count and board space, which means the LT4295 can deliver power to PD loads using just one IC. Unlike traditional PD controllers, the LT4295 controls an external MOSFET to reduce overall PD heat dissipation and maximize power efficiency. You can size the MOSFET to your application’s requirements. Standard LT4295-based implementations routinely select 30-mΩ RDS(ON) MOSFETs. 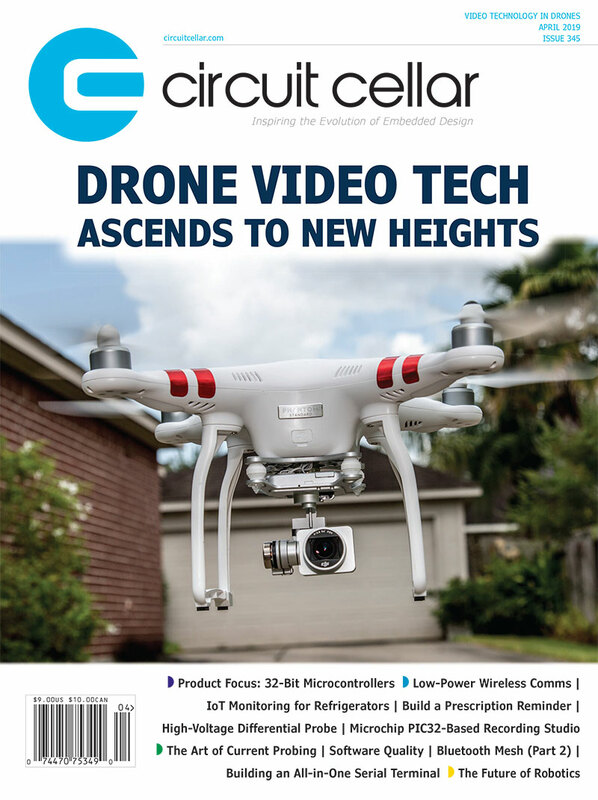 This entry was posted in CC Blog, Product News and tagged IEEE 802.3bt, Linear Technology, LT4295, PD controller by Circuit Cellar Staff.